An historic moment for West Virginia occurred last weekend as Hollywood Casino at Charles Town Races welcomes the state’s first legalized sports wagers on September 1st. As crowds flock to West Virginia gaming facilities over the next several months, the increase in tourism, jobs and taxable revenue will be the culmination of a strong and diligent effort by West Virginia lawmakers. Earlier this year, these lawmakers overcame legislative hurdles and lobbying from major sports leagues – such as the NBA and MLB — to protect state funds and ensure that West Virginia would be at the forefront of this emerging industry. Experts around the country applauded these efforts, and West Virginia is now positioned as the first state in the region to offer legal sports wagering. 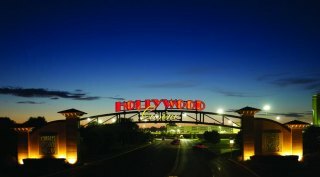 Hollywood is the first of WVGRA’s four member facilities to offer legal sports wagering, and you can expect Mardi Gras, Wheeling Island and Mountaineer Casinos to open their respective sportsbooks from September 15 through October 1.